Nothing screams more summer-y than a picnic so for our first event of 2019, we decided to host a tasting with a difference and combine a tasting with a picnic! 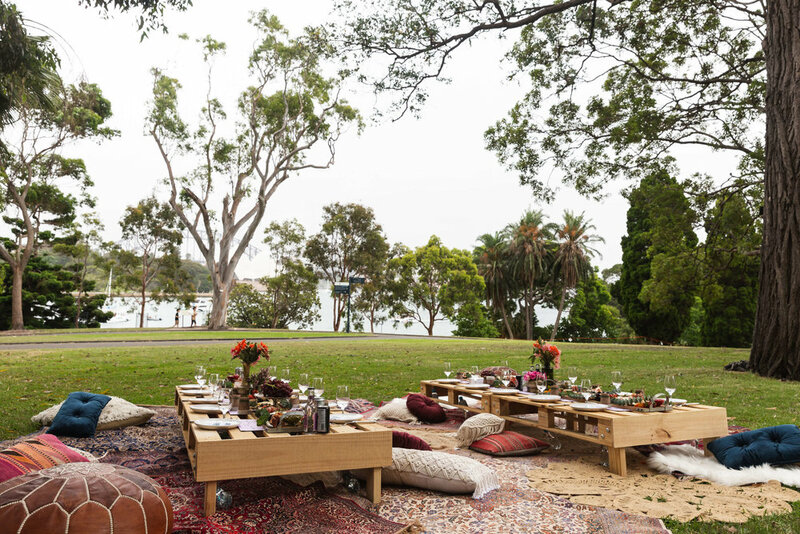 Held at the Royal Botanical Gardens in Sydney, we joined forces with bohemian picnic specialists The Girl Who Cried Wolfe to create a beautiful picnic setting, a generous grazing lunch and of course, a gin and tonic tasting with a difference. Guests were treated to a welcome drink before sitting down to a setting overlooking the Harbour Bridge and Opera House. With such regal surroundings, it seemed apt that the gin on taste was the Garden Grown Gin and it’s limited edition numbers; the Rather Royal Gin that was produced in collaboration with the Botanic Gardens Sydney using botanicals grown in the very grounds we sat on, and the Mount Annan limited edition that was produced in collaboration with the sister garden located out near Auburn. With gin in hand, it was time to taste the tonics chosen for the occasion and to pair with the gin. With the Schweppes acting as an anchor tonic, we tasted our way through three other tonics, all so new on the market, they were not yet available in any retail outlets; the Bilsons Aromatic Tonic from Beechworth Victoria, the Artisan Drinks Co Violet Blossom produced in Brisbane and the South African Fitch & Leedes Rose & Cucumber. Having tried the tonic neat, guests were able to then try the gin in each of the tonic and decide for themselves, which tonic paired the best. A wonderful afternoon spent in great company, thanks to everyone who came!